Coinciding with the World Recycling Day, May, 17, we have the opportunity to reflect on the challenges and opportunities ahead in this area. Recycling is a simple gesture but also economic and social obvious environmental benefits. Therefore, it is the responsibility of everyone. In the last 25 years we have come a long way, as demonstrated by some known data recently: in 2013 each person in Spain generated 449 kilos / year of waste while the EU average stands at 481 kilos / year (Eurostat report). A figure that underscores the importance of continuing prevention, understood as the set of actions taken before a product becomes waste. However, we are still far from fixed rates to Europe for 2020 and with obvious areas for improvement, such as reuse and recycling of used clothing and footwear. Framed in the category of household waste, its reuse and recycling levels are still located away from glass or containers although the textile waste has a high potential for reuse without treatment. It is estimated that a person buys approximately 16 kilograms of clothes and a significant percentage rarely used until the end of its useful life in the trash or in the best case, in a container of textile waste. The total pieces of clothing annually strip the Spanish citizenship, only one in five is deposited in a container intended for this purpose or delivered to a specialized management in accordance with the Law 22/2011 which determines the organization of waste and contaminated soil: giving priority to preparation for reuse and recycling of this on energy recovery and disposal. 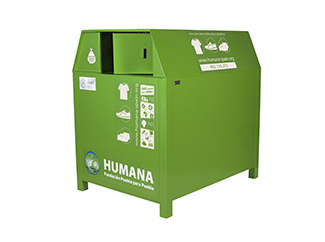 A high percentage of the clothes that no longer serves can be used again, reducing the volume of waste, encouraging saving natural resources and energy that would be used for the production of new garments, contributing to the reduction of CO2 emissions , etc. Reusing, urge, therefore, sustainable fashion, away from consumption patterns that go against sustainability for which we must all work. 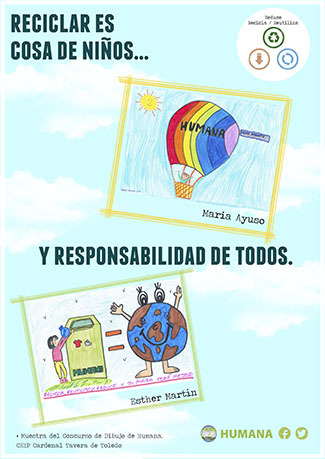 It is time to revise the formula that has allowed us to grow and progress as we have and, thus, contribute to society faithful to our founding purposes, convinced that through the recovery and reuse of textiles can achieve many objectives: to contribute to the recovery of the waste, promoting responsible consumption and make social actions with the proceeds. 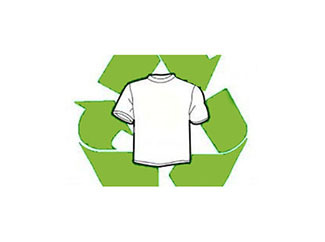 And this can be achieved with a triple action: raise awareness of the clothes in good condition can be donated and thus extend its life; involve administrations to facilitate and promote the benefits of selective collection, and enhance the efforts of industry organizations to explain what we do with used clothing.